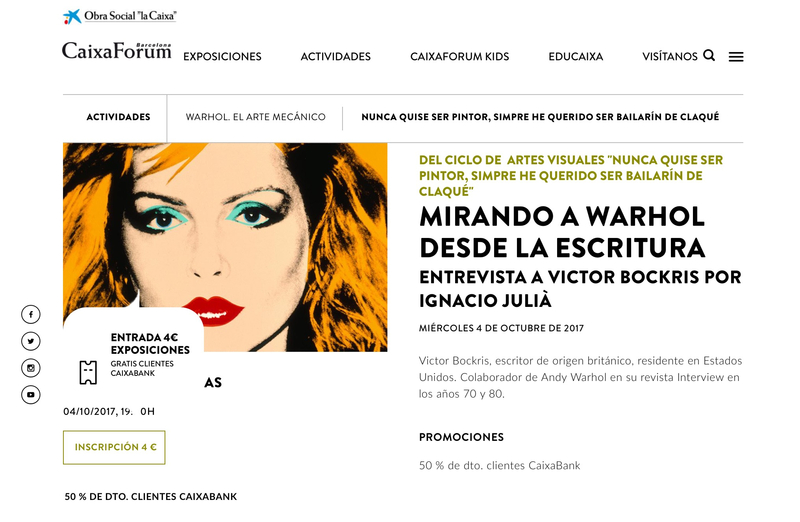 As part of the Caixa Forum arts season, a brand new Warhol exhibition will include an in person interview with his biographer Victor Bockris about the life and times of the great artist and scene maker. Barcelona. October 4th. More info here.